written by Sean Mattingly, owner of The Ultimate GTO Picture Site at http://UltimateGTO.com As featured in GOATFINDER GTO CLASSIFIEDS February 1998, March 1998. This is info on two of the 16 Kellogg's contest cars. The first one described here was won by Leisa Hurley. 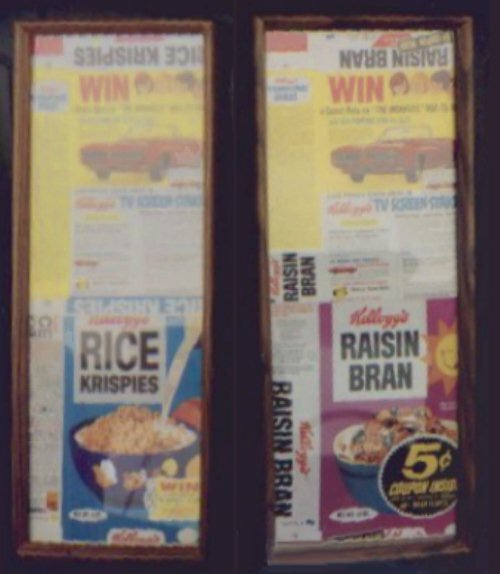 of a cereal box and win a car. That would be a kid's dream come true! It happened to Leisa Hurley way back in 1968. Leisa is awarded the keys by the dealer! were 15 First Prizes of hardtop GTOs to be awarded as well. I've located all of the memorabilia associated with my winning the car. Manager and Vice President of Kellogg Sales Company. who would then contact us and process the necessary paperwork for ordering. The letter also listed the features of the car I won. It is signed by D.H.
Keaton, Assistant to the Advertising Manager. not a "Hot Rod" type, so he ordered a more economical family type car. comparison). It was given to my Father when he placed his order. 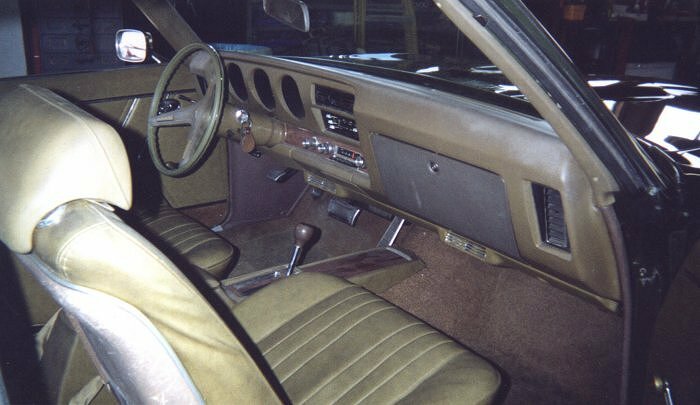 interior, automatic transmission, 400 cid engine, and other options. says the car has all original parts. shelf covering behind back seat is rippled. Smells somewhat musty. Exterior easily restorable. Paint is oxidized, but buffable. who was up for vacation. I sold it for $4500. (He) had never heard of the contest by Kelloggs. your help and information. - Leisa K. Richardson (imrich@vibetech.com)"
I am 25 years old and recently purchased Leisa Hurley's 1969 GTO from Todd Harding for $7500. I have all of the original documentation as well as the original engine which had some main bearing/oil pressure problems. Before I purchased the car, Todd put a 1969 WT code Pontiac 400 engine in it for me which was bored .030 over by a previous owner. I also have a set of #48 heads which came with it. 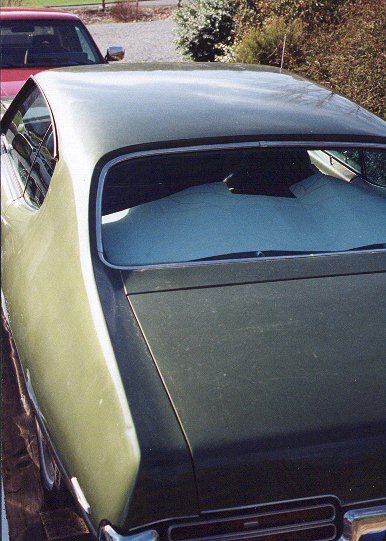 Todd had the car repainted and color sanded during his ownership of the vehicle, as well as having it refitted with a new endura bumper. The body now appears to be virtually flawless. 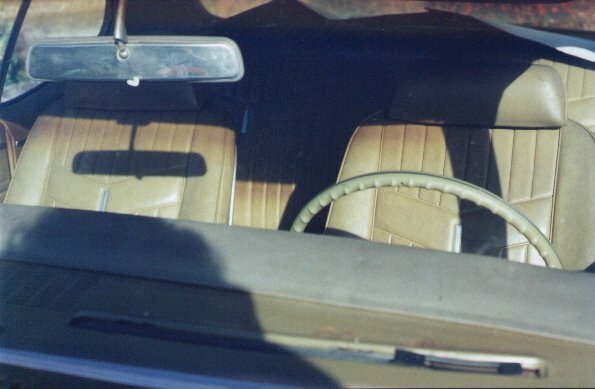 I intend to keep the vehicle in nearly original condition. Herb says the car has an entirely new brake system, plus a freshened-up engine which now has hardened valve seats so it can run unleaded pump gas. The car comes with an extra complete engine and all of the original paperwork that define this as a special car. Herb eventually sold the car. Herb's email address is herbster@sega.net and his phone number is (714) 663-8227. The Hurley car was featured in the April 2005 issue of Pontiac Enthusiast Magazine. The cover reads “FOUND! 1 of 15 GTO HARDTOP CEREAL CONTEST WINNERS.” The spread within the magazine says "There's a GTO in my cereal!". The car was seen on ebay, listed by a John Lind at a Jaguar dealership in Sarasota, Florida. There was only one bid of $18,000 and the reserve was not met at that price. The auction closed on April 29th, 2006. DISCOVERY! - - - A second Kellogg's GTO contest car has been found! 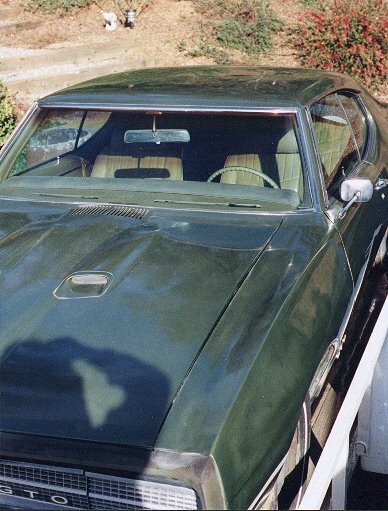 John Ulrich (gtonut@ptd.net) says: "I also own a similar piece of history - I am the second owner of a well documented car that is also a 1969. My car was won under similar circumstances - a 13 year old entered the sweepstakes on a Raisin Bran box, could not get the '68 delivered, and then went to the '69. 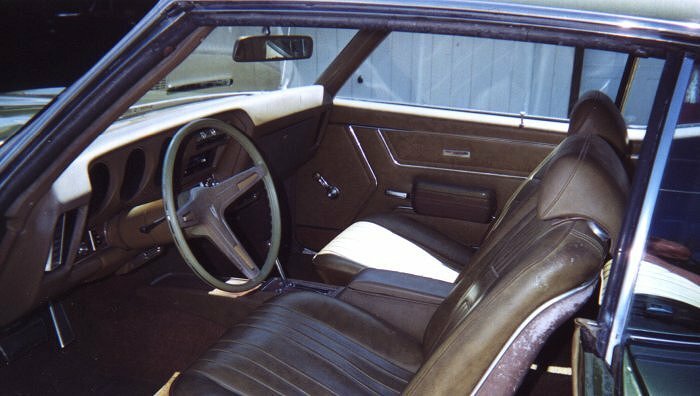 Reportedly, the winner's car was to be a loaded Ram Air II car, with the runnerups to be a "stripper" Ram Air II. If you check the historical time, there was a major problem late in the '68 model year with the '68 RAII heads, which caused many cars to be delayed till '69. 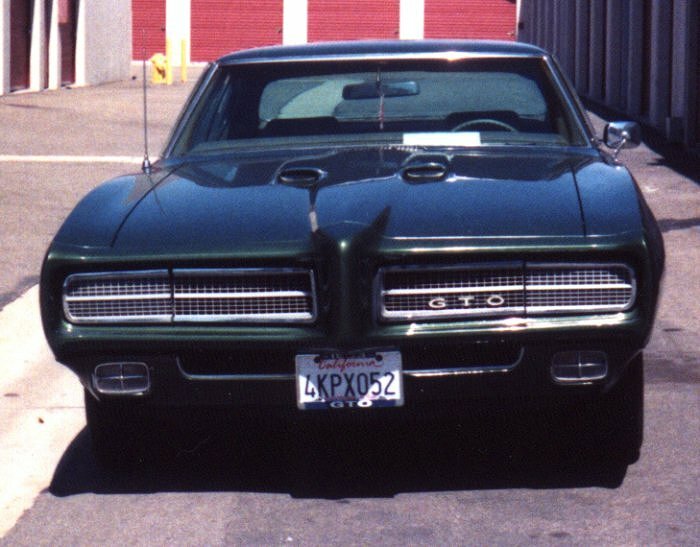 What most people did not realize was the "square/round" port differences between the RA II and RA III cars (among other things) and the cars were not a better-faster GTO. Too bad for the people who did not know at the time. I have owned my car for 12 years, am the second owner, and have the car under a full restoration at this time. It is blue with a white interior and is very plain - no options other than the RAIII engine and minor stuff, Car has manual steering/brakes, etc. Car was in #3 condition with 72K and was driven about 1000 miles since I owned it. Great car, great history!"